Professor Ghernaouti, Doctor in Computer Sciences, director of the Swiss Cybersecurity Advisory and Research Group of the University of Lausanne is an internationally recognized expert on cybersecurity, cyberdefence, ICT Risk management and cybercrime related issues. She has contributed to several initiatives organised by international organisations, public and private institutions, research centres, and law enforcement agencies, among other instances of professional recognition all around the globe. Her main focus for several years as a pioneer in the field has been on developing an interdisciplinary and integrative cybersecurity approach for citizens, organisations and states. She is an active independent security advisor and an influential analyst, a regular media commentator. She has authored more than 200 publications and more than twenty five books on ICT and security issues, including: “Cyberpower: Crime, Conflict and Security in Cyberspace” (EPFL Press 2013); “Cybersecurity guide for developing countries” (ITU 2006); “Information Security Evaluation – a Holistic Approach” with Dr. I. Tashi (EPFL Press 2011); and with Judge Stein Scolberg “A Global Treaty on Cybersecurity and Cybercrime – A contribution for peace, justice and security in cyberspace” (cybercrimedata, 2009). She is Chevalier de la Légion d’Honneur and member of the Swiss Academy of Sciences. 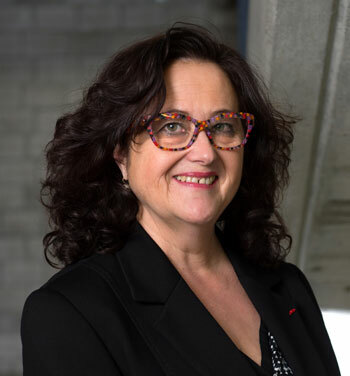 She has been recognised by the Swiss press as one of the outstanding women in professional and academic circles. Ranked among the twenty women who represent Switzerland (Bilan, 2012), she is one of the hundred most powerful women in Switzerland (Women in Business, 2012) and included among the three hundred most influential personalities in Switzerland (Bilan, June 2011).